Brighten up every line and every letter, with Johanna Grawunders Millerighe Stiletto Pen. 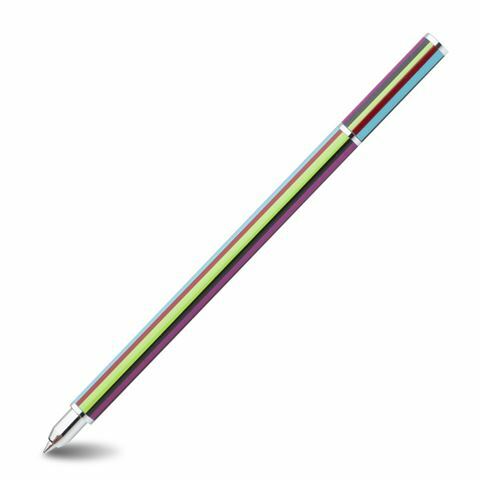 These slimline rollerball pens were designed by women, for women, being the perfect size for the purse and equipped with handy magnetised lids. Designed by Johanna Grawunders for Acme Studios, USA. Capped rollerball style, with a magnetised lid. Presented in an Acme tube.